Gretchen Rubin is one of the most thought-provoking and influential writers on the linked subjects of habits, happiness and human nature. She’s the author of many books, including the blockbuster New York Times bestsellers BETTER THAN BEFORE and THE HAPPINESS PROJECT. A member of Oprah’s SuperSoul 100, Rubin has an enormous following, in print and online; her books have sold more than two million copies worldwide, in more than 35 languages; and on her popular daily blog, she reports on her adventures in pursuit of habits and happiness. She also has a highly ranked, award-winning podcast, "Happier with Gretchen Rubin." Rubin started her career in law, and was clerking for Justice Sandra Day O’Connor when she realized she wanted to be a writer. She lives in New York City with her husband and two daughters. For most of us, outer order contributes to inner calm. And for most of us, a rigid, one-size-fits-all solution doesn't work. The fact is, when we tailor our approach to suit our own particular challenges and habits, we're then able to create the order that will make our lives happier, healthier, more productive and more creative. 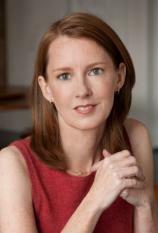 Gretchen Rubin has found that getting control of our stuff makes us feel more in control of our lives. By getting rid of things we don't use, don't need or don't love, we free our minds (and our shelves) for what we truly value. If habits are a key to change, then what we really need to know is: How do we change our habits? BETTER THAN BEFORE answers that question. It presents a practical, concrete framework to allow readers to understand their habits --- and to change them for good. Infused with Gretchen Rubin’s compelling voice, rigorous research and easy humor, and packed with vivid stories of lives transformed, the book explains the (sometimes counter-intuitive) core principles of habit formation. One Sunday afternoon, as she unloaded the dishwasher, Gretchen Rubin felt hit by a wave of homesickness. Homesick --- why? She was standing right in her own kitchen. She felt homesick, she realized, with love for home itself. “Of all the elements of a happy life,” she thought, “my home is the most important.” In a flash, she decided to undertake a new happiness project, and this time, to focus on home.